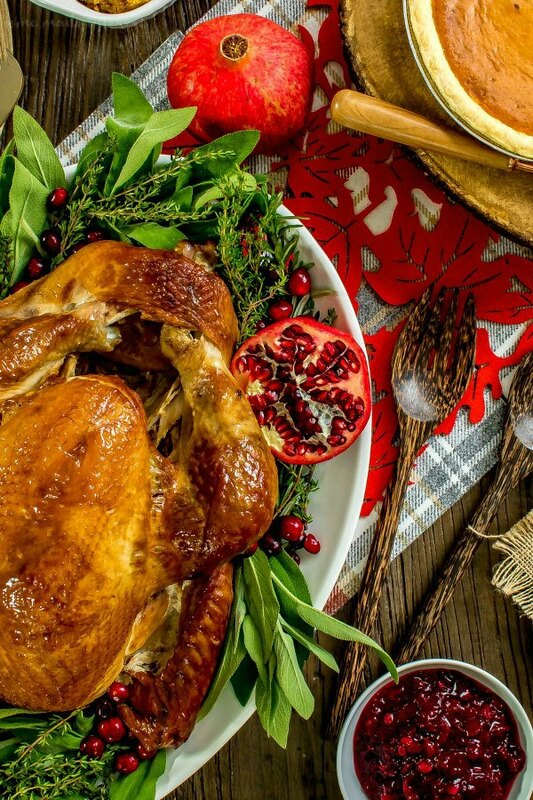 Simplify the Holidays with Traditional Thanksgiving Dinner Delivery - Home. Made. Interest. This post was sponsored by Boston Market who sent us this amazing Thanksgiving dinner. All thoughts and opinions are 100% our own. This year you can simplify the holidays with a traditional Thanksgiving Dinner Delivery. Everything you need for a traditional Thanksgiving dinner delivered right to your front door. We talk a lot about recipes this time of year. 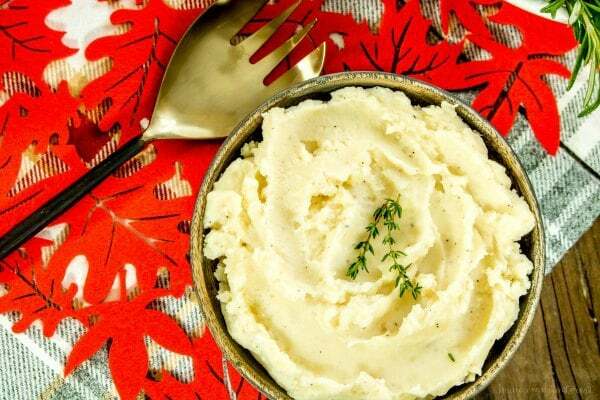 I love cooking and baking and hosting big parties for friends and family but not everyone has as much time as they’d like to host, or maybe they love having everyone over but cooking really isn’t their thing and the idea of feeding a house full of people who want a traditional Thanksgiving dinner is a little more than they are able to take on. For example, my sister is an amazing hostess. She comes up with the best Pinterest-y place settings and she is a great baker but she has no problem letting you know that there is no way she’s cooking a turkey. It’s just not her jam. So, she always feels like she can’t host Thanksgiving. Other people just don’t have the time to host a big dinner. My mom and I spend all day in the kitchen the Wednesday before Thanksgiving prepping ingredients, and baking pies. Then Thanksgiving morning you have to get up super early and put the turkey in the oven. It’s a lot of work! She and I have been tossing around the idea of ordering Thanksgiving dinner this year, just to simplify things so we can relax and enjoy everyone’s company a little more, so I was super excited when I heard about the Boston Market new Thanksgiving Home Delivery. 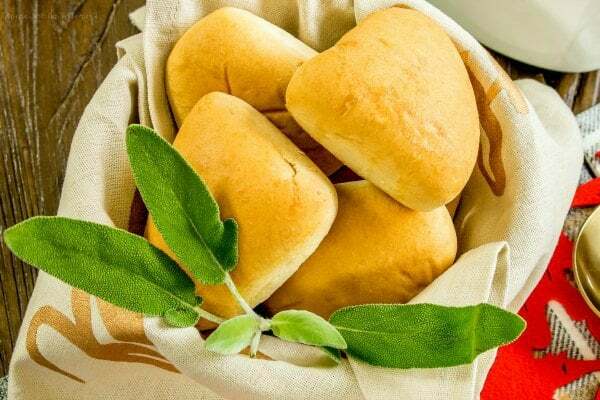 It’s a traditional Thanksgiving dinner delivered right to your front door! Guys, I got to try out a Boston Market Complete Thanksgiving Meal for 12 and my mind was blown. 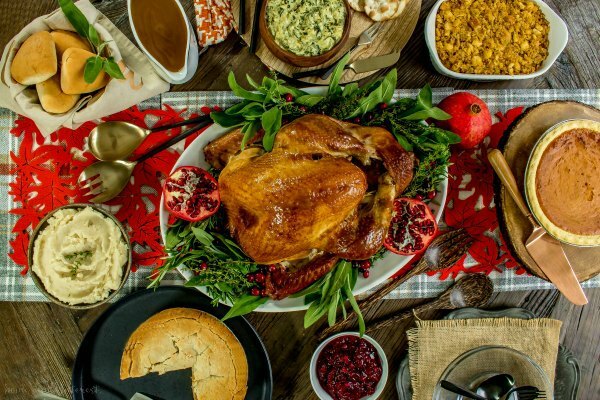 It is a full spread with all of the holiday trimmings, including a whole roasted turkey, mashed potatoes and gravy, home style stuffing, cranberry walnut relish, spinach artichoke dip and crackers, dinner rolls, and an apple pie and a pumpkin pie all for $119.99. You don’t even have to live near a Boston Market. You go to the Boston Market website and choose Thanksgiving Home Delivery. Then you choose the dinner package you would like. Three of the meal options can feed up to twelve guests, while two additional offers can feed four to six people. The different meal options include whole turkeys, turkey breasts, and ham (for those people like my B-I-L who prefer it to turkey). They even have a Combo Boneless Roasted Turkey Breast & Boneless Ham Meal for 12 that comes with turkey and ham! Each meal option comes with sides and depending on which one you chooses they have everything from Cranberry Walnut Relish, to Home Style Stuffing, to Mashed Potatoes and Gravy. All of the food comes completely cooked and frozen. You just take it out of the freezer a few days before so it thaws out and then on Thanksgiving you heat everything up. The new Boston Market Thanksgiving Home Delivery is available to order through November 19th. 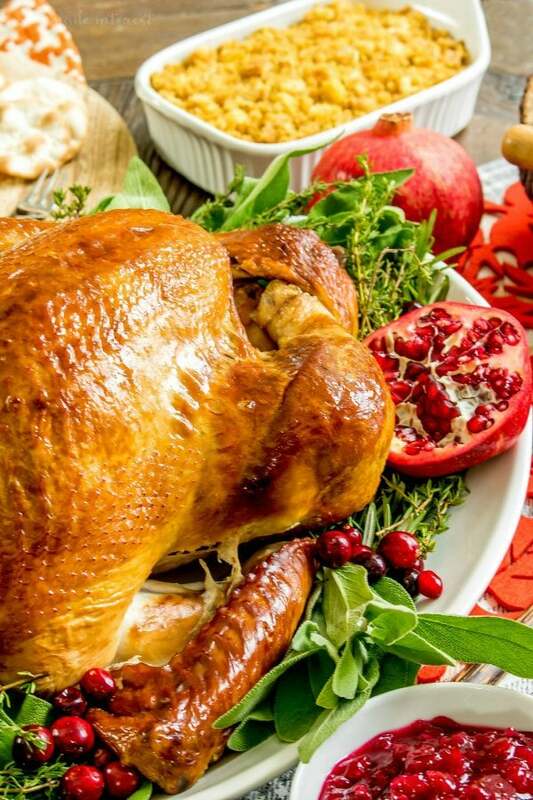 If you place your order for your Thanksgiving dinner delivery by November 13th shipping will be $17.99 – $19.99 excluding tax and will arrive between November 16th-18th. If you order from November 14th-19th shipping will be $39.99 excluding tax and will arrive on November 21st. Our Complete Thanksgiving Meal for 12 came with a whole turkey and it was beautiful, tender and moist. It came with a roasting bag that the thawed turkey went into and then it baked in the oven for 90 minutes. It totally beat waking up at 5 am to put a turkey in the oven! All of the sides have microwave and oven instructions so I was able to get my Thanksgiving dinner on the table in 90 minutes by warming the sides up in the microwave while the turkey cooked. If you decide to use the oven every items heats up at the same temperature. That means you don’t have to worry about raising and lowering the temperature for each side dish. It’s a total time saver. I have to say Melinda and I couldn’t pick just one thing we liked the most. I was really impressed with how moist the turkey was (even when I reheated the leftovers the next day!) and the Mashed Potatoes and Gravy were delicious. We also both loved the Spinach Artichoke Dip and Crackers. Honestly every part of the meal was awesome and I think it is a really great option for someone who wants to simplify Thanksgiving dinner without giving up that traditional Thanksgiving dinner spread we all love. And, if you love to host but don’t necessarily love to cook just think of how much time you have to focus on making your Thanksgiving table beautiful! It’s also makes a really great gift. 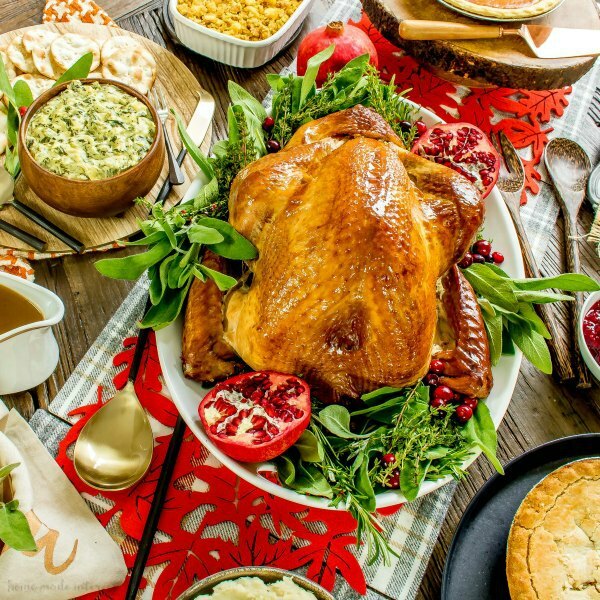 Just imagine, you could totally make someone’s day by sending them a Thanksgiving dinner delivery and letting them enjoy the day with friends and family without the stress that can come with the holidays. Holiday Heat & Serve: These chilled complete meals, entrees, sides or pies are fully cooked and can be ordered ahead of time and picked up in any Boston Market restaurant the week of Thanksgiving. A La Carte: Whether guests are bringing a side to a celebration or looking for a dish to round out the meal, these chilled, fully cooked main dishes, sides or pies can be ordered ahead of time and picked up in any Boston Market restaurant the week of Thanksgiving. Holiday Catering: Get it while it’s hot with buffet-style dinner for groups of 10 or more which can be delivered or picked up in-restaurant for parties big and small. Thanksgiving Day Meal: Join Boston Market in-restaurant on Thanksgiving Day for a traditional, delicious plated meal. Family Meals, whole pies and hot dishes can be picked up as last minute additions to accompany any meal as well.